+ Run The Jewels, Big Gigantic, and Die Antwoord! Is there anything more iconic than partying at the original Woodstock grounds? We think not. 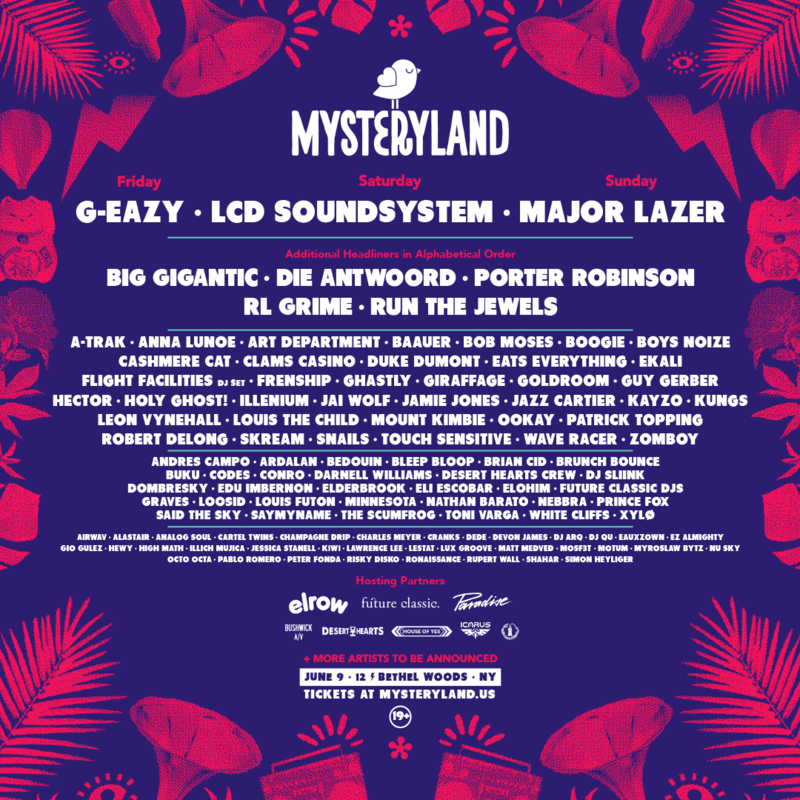 That's why Mysteryland USA has stolen our hearts since it emerged onto the scene four years ago at its Bethel Woods, NY location. 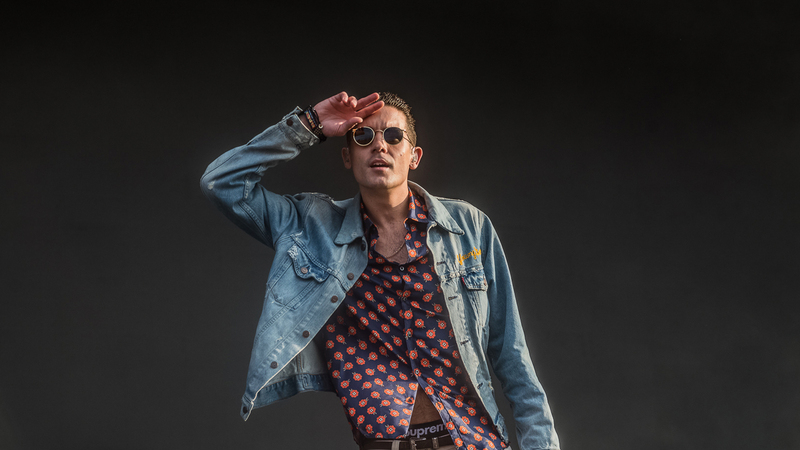 Revealed today, the lineup for its 2017 event is its most diverse yet, boasting headlining sets from LCD Soundsystem, G-Eazy, and Major Lazer. Other acts trekking to the three-day affair are Big Gigantic, Die Antwoord, Porter Robinson, RL Grime, Run The Jewels, Bob Moses, Cashmere Cat, Clams Casino, Jai Wolf, and Jazz Cartier. While the thought of these performances alone has us counting down until June 9-12, the San Francisco and New York-based collective, Icarus, will also be in attendance, bringing their “moving sculpture, roaming art gallery and music stage" to the festival grounds. We. Can't. Wait. Tickets to the music, culture, art, and sustainability celebration are now on sale, with options available for 3-Day Nomad, Premium, and Platinum packages. Head over to their website to secure your pass to the world’s longest-running electronic music festival, then make sure to track all the artists performing below!